. 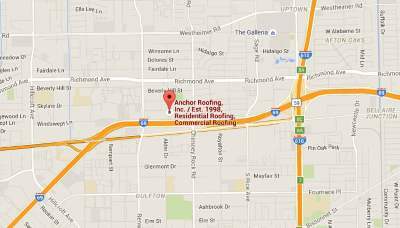 Metal Roofing Companies Houston | Anchor Roofing Inc. If you think that this is a project that is relatively easy, think again! When you are installing a metal roof, the procedures will differ depending on which manufacturer you choose to go with, be it R panel, Corrugated Metal, or Standing Seam. First, you have to look at the building or house from a structural position,particularly if roofing over an existing roof and figure out if the structure can take the additional weight, or live load. Often it is best to consult with a Structural Engineer. Second, the assembly protocol for metal roofs differs with the types of metal roofs, and typically metal roofs are made by design, not ordered in rawmaterials then assembled. It is also recommended that if an underlaymentis to be used to use a underlayment such as Ice and Water Shield as ithas self sealing qualities that felt or organic felt don’t have and will help toassure your metal roof doesn’t leak. Also, if installing a R Panel, M panel, or Corrugated panel it is vital to use Butyl tape at the laps. Deciding on Which Metal Roofing Material is Best for you. Remember that agood metal roof is a long term investment, and that better roofs cost more upfront; however over the long term have proven to be worthy of the cost difference. Metal roofs are like most roofs in that you get what you payfor. Companies like: Berridge, Englert, and Decra have been around for along time and aren’t going anywhere, so when you get a long term material warranty from them first there is little chance it will ever be used, and second if it is then they will be around to honor it. Once you’ve made the decision on the type of your metal roof, the first aspect to address is choosing what type of metal material you want to use; namely manufacturer and type of material. You have the option of using various styles and materials so it’s up to you to decide what’s best for your home or business. One benefit of most of the metal roofing products you find is that they will not require much upkeep once installed. The look/profile of the metal roofing will be one of the more significant deciding factors and you want to make sure you are making a choice you will be happy looking at for at least 20 years. which is why is has been widely used for many years now. One piece of cool roofing information you may not have known is that this style of roofing lasts for a long period of time without deteriorating or any leakage issues. 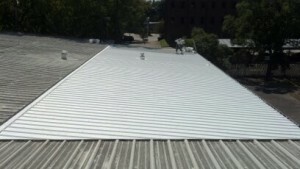 (When installed properly) Some of these materials/metal roofs are known to last the entire life of the homeowner or business owner if taken care of. One thing that you should know is that when you are deciding on which roofing material you want to use, take a look at it from about 20 feet away so you know exactly how that material will look on your home or business. The materials may have a different look once you place them on your roof than what you remember from the store or catalog. You don’t want to end up upset because your roof has a totally different look than you wanted. If your home has a unique color or any color for that matter, make sure you take a color sample to compare to the roofing. 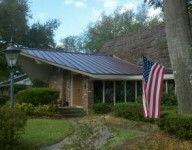 Also, when buying the materials for your metal roof system, particularly if you choose a cool roof color make sure to look for the Energy Star stamp of approval, this lets you know that the product has been on the market for atleast 3 years and meets the approval guidelines of Energy Star, this will also enable you for a minor tax deduction. You can also check with the CRC (CoolRoof Council) and see if the material/s you are choosing are on their list of Cool Roofing Products. As long as you follow these simple guidelines, you should have no problem finding the perfect roofing materials for your home; however unless you have extensive experience in the field of metal roofing then we strongly urge you to do your research, take bids from multiple companies specializing in this field and leave it to the professional of your choice. Contact us for roof repair Houston companies for reconstruction and leakage for your roof.